People have dreamt up all sorts of schemes to try to fit billions of years of ‘deep time’ into the Bible.1 This has happened since the early 1800s when an antibiblical mindset began to take root in universities.2 Before then, almost no-one believed in long ages. Almost all commentaries on Genesis before 1840 took Genesis as straightforward history,3 with creation some 6,000 years ago, death coming after the sin of Adam and Eve, and a global Flood. No question. Modern authors who claim that 20th-century Americans invented ‘young-earth creationism’ are dead wrong;4 the young-earth view prevailed until the 1800s. 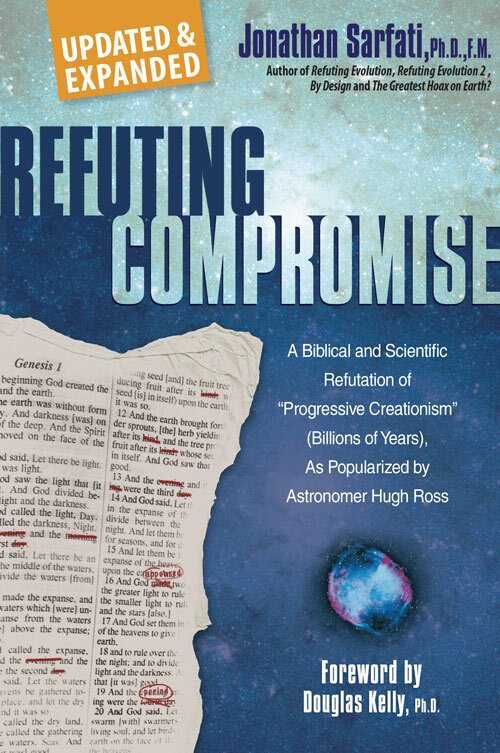 Recently, some, such as Gorman Gray, have proposed a ‘soft’ gap theory in an attempt to fit billions of years into the Bible.5 Soft gap advocates claim that Genesis 1:1–2 refers to the creation of the stars and galaxies and the matter of the earth, and that verses 3–31 describe a forming and filling of earth billions of years later. Gray says, ‘Earth lay in total darkness … for an undefined length of time before the first day until God began to clear the envelope of thick darkness’.6 The first day of forming and filling of earth began from the pre-existing matter, according to Gray, in verse 3, and this began the Creation Week. In contrast, proponents of the ‘classical’ gap theory, which has been around since about 1814, place a gap between verses one and two of Genesis 1. Into this gap they put a completely imaginary ‘Lucifer’s flood’, which formed the fossil record eons of time before the Creation Week, which began with verse two. In their Creation Week, God reconstructed the earth, which had been ruined by Lucifer’s flood—hence some call this the ‘ruin-reconstruction’ theory. With this older gap idea, the fossils formed before the Creation Week. Since the fossil record speaks of death and suffering, this contradicts God describing his finished creation as ‘very good’ (Genesis 1:31). It also undermines the Gospel because the meaning of Jesus’ bodily death and Resurrection depends on bodily death and corruption intruding into Paradise after Adam sinned (Romans 5:12–19; 8:19–23, 1 Corinthians 15:21–22), not before. Like the ‘ruin-reconstruction’ gappists, ‘soft’ gap advocates recognize that six ‘days’ means six ordinary days in the Creation Week and that the genealogies in Genesis 5 and 11 do not allow for ‘deep time’ to be inserted after Creation Week. However, soft gappists have no flood before the Creation Week, so in their scheme they do not have fossils (which speak of death and suffering) existing when God proclaimed his finished creation as ‘very good’. Neither do they have death before the Fall, which undermines the Gospel. Most also recognize that the Flood of Noah’s day was global, creating the fossil record after Adam sinned.7 So far, so good. Why look for any gap? But why would anyone want to insert billions of years into the Bible? The web promo for Gorman Gray’s book claims, ‘Light from distant galaxies, isotope dating and other riddles are solved’. Distant starlight and isotope dating supposedly ‘prove’ billions of years of ‘deep time’, and Gray claims that the ‘soft gap’ makes room for this time. But the Bible gives not the slightest hint at millions or billions of years—this comes purely from secular historical science—the ‘science’ that claims to know with certainty about the past; the science driven by philosophy and speculation, not experiment (what experiment can you do on the past?). Hebrew scholars, both conservative and otherwise, recognize that Genesis 1:1 (‘In the beginning God created the heavens and the earth’) means that God created the universe, or everything.9 Hebrew has no word for ‘universe’, or the totality of everything. To represent this, Hebrew uses the extremes of the whole, the heavens (out there) and the earth (right here) to represent the whole. Scholars call this figure of speech a merism. In English we employ a merism in saying, ‘She searched high and low’, meaning she searched everywhere, not just high and low. Since Genesis 1:1 says God created everything, we see that it summarizes the whole creation process, the rest of the chapter providing the details. In other words, Genesis 1:1 does not describe a primal creation in the distant past, but the whole creation in six days. After the description of the six days of creation, Genesis 2:1 says: ‘Thus the heavens and the earth were completed …’. This unmistakably describes the six days of creation activity by God as the work of creating the heavens and earth. This clearly echoes Genesis 1:1, making it doubly clear that Genesis 1:1 is the summary of the whole creation process. In other words, everything (the universe) was created in six days, so there is no room for any ‘gap’, soft or classical, with billions of years. Genesis 2:4 says, ‘This is the account (Heb. toledoth) of the heavens and the earth when they were created …’. Once again this restates the six-day creation process as the creation of ‘the heavens and the earth’. Genesis 1 says that God made the sun, moon and stars on Day 4 of the Creation Week (1:14–19). Gap theorists such as Mr Gray try to get around this clear teaching by proposing that the sun, moon and stars merely appeared, on Day 4 (but who was there, on the earth, to see it?). Gray says, ‘On Day Four, God cleared the translucent blanket of obscuring cloud to transparency. … Day Four has nothing to do with the creation of sun, moon and stars but only initiating their function as seasonal markers by clearing the atmosphere to transparency’.To justify this, Gray claims that the Hebrew word used for God making (Heb. asah) things can mean almost anything, including uncovering something. However, the land animals were ‘made’ (asah, v. 25), as was the sky (v. 6–8) and no-one interprets these passages to mean that they just appeared, or were revealed, having been created at some earlier time! Furthermore, Hebrew has a word for ‘appear’, ra’ah, used in Genesis 1:9 where God said, ‘Let the dry land appear (ra’ah)’ (from under the water). God could have inspired the writer of His Holy Word to use this word regarding the sun, moon and stars, if He only caused them to appear (from behind the cloud). But He did not. In Matthew 19:4 and Mark 10:6, Jesus places the creation of mankind at ‘the beginning’. If there were billions of years before the six days of creation just thousands of years ago, then this would place Adam and Eve’s creation at the end of time, not the beginning. All old-age schemes founder at this point. Clearly, the soft gap attempt to insert ‘deep time’ into the Bible fails the test of scriptural validity. 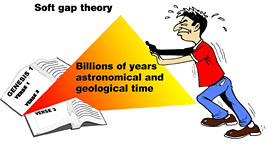 Interestingly, gappists often claim that it is obvious that Genesis 1 contains a time gap. 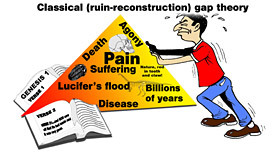 However, ‘ruin-reconstruction’ gappists claim the gap lies between verses one and two, whereas ‘soft’ gappists say it lies between verses two and three. Some have even proposed a gap between verses five and six. This confusion shows that the idea of a gap exists only in the minds of the gappists; Genesis does not have any gap. Mr Gray’s claims also contradict the principle of the perspicuity of Scripture—that the ordinary Christian can understand the Bible. The web promo for his book says, ‘Unique interpretive devices force the issue to a showdown in this controversial but insightful treatise’ [my emphasis]. For thousands of years, readers of Genesis have apparently been in the dark as to its true meaning. Even great Bible scholars such as Luther, Calvin, John Gill, Matthew Henry and others, missed seeing it. But now, finally, Mr Gray has enlightened us with his unique (‘only one of its kind’) understanding of what Genesis really means. This is a hugely presumptuous claim. Does the soft gap idea solve anything? The soft gap, like the older gap idea, does not solve anything anyway. Geologists date rocks that contain fossils using the very same dating techniques that a gap supposedly accommodates.13 So if one believes the dating for the age of the rocks of the earth, then logically one should also accept it for the age of the fossils buried in those rocks. That then makes fossils millions of years old, older than Adam and Eve, and we now have death and corruption before the Fall. Also, if we accept such ‘dating’, then the sedimentary rocks laid down by water all around the world actually formed over hundreds of millions of years, not during the year of Noah’s Flood. Thus, the abundant evidence for the global Flood of Noah evaporates—this leads logically to a tranquil flood, an absurdity, or no flood at all. Everything unravels—it’s another slippery slide to unbelief. All compromise, including the ‘soft gap’ idea, ends up with a mess. Let’s just believe what God has plainly told us in His Word. 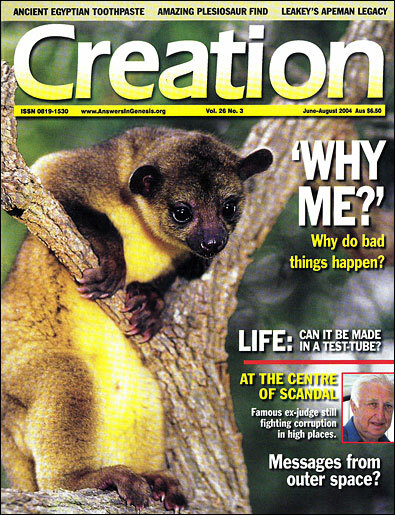 See Batten, D. et al., The Creation Answers Book Creation Publishers, Queensland, Australia, chapters 2 and 3, 2006. Return to text. This mindset is based on the doctrine of uniformitarianism, which asserts that only processes that we can see operating today have operated in the past, and at the rates we measure today. 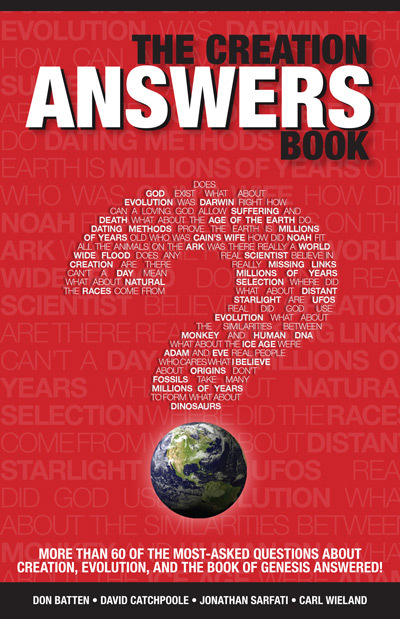 This doctrine rules out creation and the Flood as real events in history (see 2 Peter 3:3–7). Return to text. For example, those of John Chrysostom (AD 344–407), Ephraim the Syrian (306–372), Basil the Great (329–379), Ambrose of Milan (339–397), Luther (1483–1546), Calvin (1509–1564), Matthew Henry (1662–1714) and John Gill (1697–1771). Even Augustine (354–430), who took a more figurative view of the days of creation, treating them as an instant in his City of God, attacked those who denied a recent creation. Return to text. For example, Numbers, R.L., The Creationists, University of California Press, 1993. By ignoring church history before 1840, Numbers gives the false impression that the view that Genesis 1–11 is history was invented in the 20th century. Return to text. Gorman Gray, The Age of the Universe: What Are the Biblical Limits? Morningstar Publications, Washougal, Washington, 1997. Return to text. A biblical solution to starlight and other problems, hal-pc.org, 22 January 2004. Return to text. For ‘classical’ gappists, the evidence for the Flood the Bible speaks so much about has become evidence for a mythical Lucifer’s flood that the Bible does not mention. Gappists such as Arthur Custance then logically argue for a local flood of Noah, which somehow left no evidence. Return to text. Ham, K., Eisegesis—a Genesis virus, Creation 24(3):16–19, 2002. Return to text. For example, Keil and Delitzsch, John Skinner, E.J. Young, Gerhard von Rad, R.K. Harrison, Bruce K. Waltke, Claus Westermann, Gordon J. Wenham, Allen P. Ross, Nahum M. Sarna, John D. Currid, Paul K. Jewett and Douglas F. Kelly. Return to text. 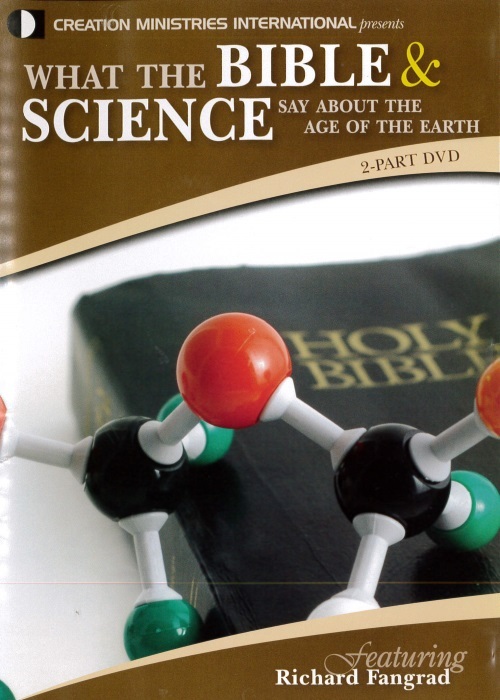 Inspiration for some of this article came from Camp, A.L., A view of creation, 53 pp. (368 K), apologeticspress.org, 15 December 2003. Return to text. Exodus 20:11 adds the phrase ‘the sea, and all that is in them’, but heavens-earth-seas is simply another way of saying ‘the entire universe’. See David Toshio Tsumura, on Shamayim in New International Dictionary of Old Testament Theology and Exegesis CD-ROM, Willem A. Van Gemeren (Ed. ), Zondervan, Grand Rapids, Michigan, 1998. Return to text. Nothing in Gesenius’ Hebrew Lexicon supports the translation of asah as ‘show’ or ‘reveal’. See Taylor, C., Days of Revelation or Creation? Return to text. Radiometric dating is used on igneous (e.g. volcanic) rocks, which, in turn, are used to date the sedimentary rocks that contain fossils. See Walker, T., The way it really is, Creation 24(4):20–23, 2002. Return to text.